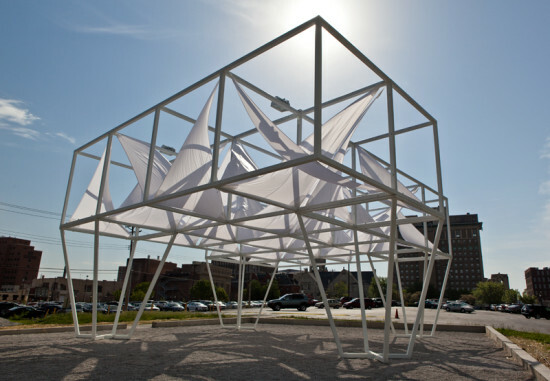 Last year, a vacant lot across the street from the Pulitzer Foundation in St. Louis became the site of a design competition for a temporary built-environment installation. 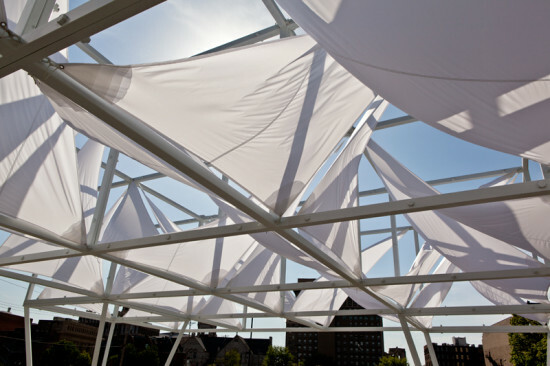 New York’s Freecell Architecture won PXSTL's $50,000 project budget and $10,000 honorarium for a proposal to erect an adjustable canopy for performances and gatherings—an idea Kristina Van Dyke, director of the Pulitzer Foundation, called “both monumental and ephemeral at the same time.” Freecell’s installation, entitled Lots, opens Friday, May 9. An opening celebration from 7:00 to 9:00p.m. 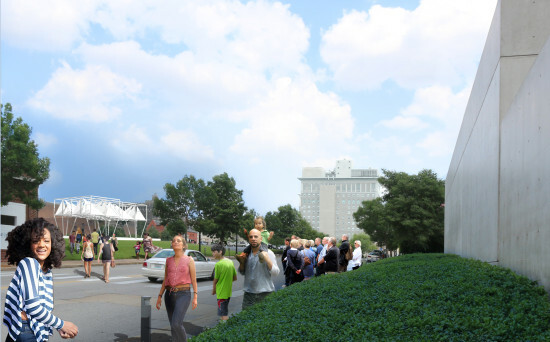 will include a dance performance by students at the Grand Center Arts Academy, which will be connected to the Mildred Lane Kemper Art Museum by free shuttle bus for the evening. Through October 5, Lots will occupy the space across Washington Avenue from the Pulitzer Foundation, an elegant concrete building designed by Tadao Ando. (Read AN’s Q&A with Tadao Ando here.) Public programs will take over the canopy throughout the summer, funded by grants from the foundation. 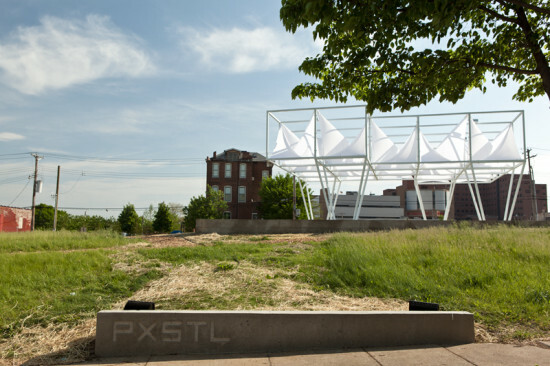 Thirteen grant recipients will provide programming for the inaugural PXSTL installation. See PXSTL's website for more information about the opening event, which is also sponsored by the Sam Fox School of Design & Visual Arts at Washington University.